2017 Crestliner 2100 Raptor Whether you’re competing in a tournament, with your neighbor or against your own personal best, the 2100 Raptor is the ultimate fishing boat. 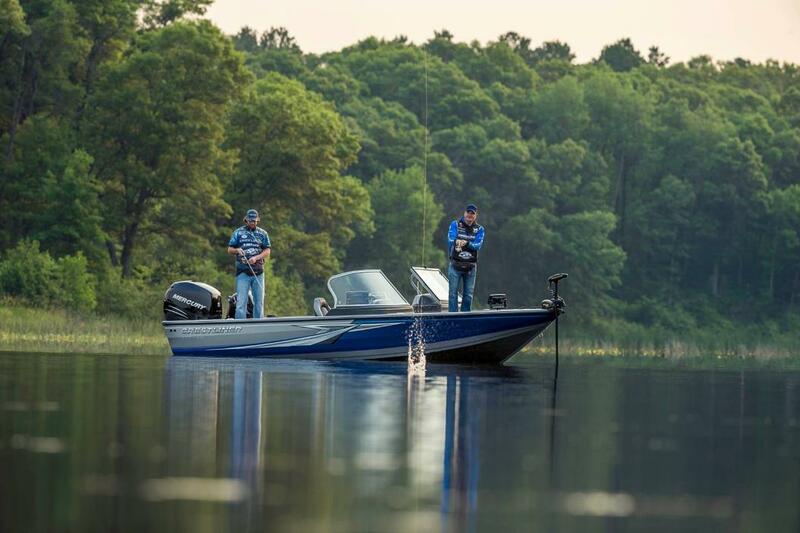 Built with Crestliner’s all-welded aluminum hull construction, the 2100 Raptor comes stacked with pro-level features like a large casting deck and tons of fishing features like a 17-tube illuminated center rod locker, a walk-through windshield, ample bow storage, 26-gallon stern livewell and a 12-gallon bow livewell. Plus, with the steep 17-degree deadrise on the 2100 Raptor, you’ll be able to cut through even the toughest of waters on your way to the top of the leaderboard. Please note: This boat model may or may not be in-stock. A Nationally Advertised Price, if listed, may change without notice or include accessories not fully described herein. Please contact your local, authorized dealer for exact details on model availability and package pricing. 2017 Crestliner 2100 Raptor Whether youre competing in a tournament, with your neighbor or against your own personal best, the 2100 Raptor is the ultimate fishing boat. Built with Crestliners all-welded aluminum hull construction, the 2100 Raptor comes stacked with pro-level features like a large casting deck and tons of fishing features like a 17-tube illuminated center rod locker, a walk-through windshield, ample bow storage, 26-gallon stern livewell and a 12-gallon bow livewell. Plus, with the steep 17-degree deadrise on the 2100 Raptor, youll be able to cut through even the toughest of waters on your way to the top of the leaderboard. THIS ORDER OUT BOAT PACKAGE INCLUDES: 2017 CRESTLINER 2100 RAPTOR WT, MERCURY 200XL PRO XS OPTIMAX MOTOR, (UPGRADE AVAILABLE) 2017 SHORELANDR CRV40TBLW BUNK TRAILER Please note: This boat model may or may not be in-stock. A Nationally Advertised Price, if listed, may change without notice or include accessories not fully described herein. Please contact your local, authorized dealer for exact details on model availability and package pricing. 2016 Crestliner 2100 Raptor Climb the leaderboards with the competition-ready Crestliner Raptor. This fishing machine combines absolute stability and fishing performance with spacious bow and stern livewells and a wide-open cockpit for all-day angling comfort. And with tons of storage right where you need it, your gear is always within reach. 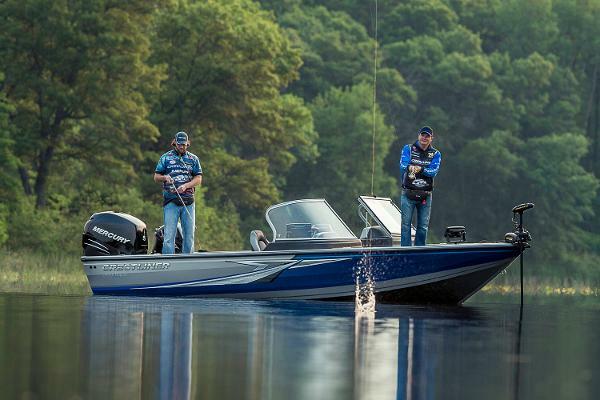 There are no excuses in tournament fishing. Never need one with the Crestliner Raptor series. Please note: This boat model may or may not be in-stock. A Nationally Advertised Price, if listed, may change without notice or include accessories not fully described herein. Please contact your local, authorized dealer for exact details on model availability and package pricing.